Jet Airways is facing multiple headwinds, some external and some of its own making. It has been adding capacity slower than the industry in each of the last four quarters, growth in passengers has also lagged the industry - growth in passengers for Jet was less than a third of the industry growth rate in the June quarter. So when we speak of an urgent need for the airline to get funds and cut costs, it is with this background in mind. The airline has just reported its second sequential loss of Rs 1,326 crore for the June quarter, which means it lost more than Rs 14 crore each day of the quarter, on an average. With debt piled high and expenses spiralling, the airline needs some serious efforts at a turnaround. Let us look first at the problem most Indian airlines have been facing: inability to cover costs for each seat. A look at the presentation Jet made after the Q1 resuIts makes it clear that the airline spent Rs 4.77 per seat km to earn Rs 4.10 per seat km. It is obvious then that it was selling seats below cost. How then, can it hope to make money? There is little pricing power in the airline industry in India, and fares are dirt cheap during the lean season, sometimes dropping even below what it costs to travel the same distance by train. But, unless Jet and all other airlines take a hard look at fares, there is no business case for airlines operating in the high-cost environment in India with any sustainability. One LCC has been indicating that fares should rise now, with the festival season arriving, and if this happens, Jet as well as others stand a chance of improving their prospects. Apart from the inability to charge adequately for seats, Jet also lags in cost controls. Though fleet utilisation (number of hours each aircraft is being used) has increased by four percent, cost including fuel per seat km jumped by almost nine percent. With Brent crude oil prices rising by almost 36 percent in the quarter, the airline needs to hedge its bets as far a fuel costs are concerned or begin levying a fuel surcharge to cover these costs. It has managed to reduce costs outside fuel by 1.5 percent but this initiative needs to gain further momentum. 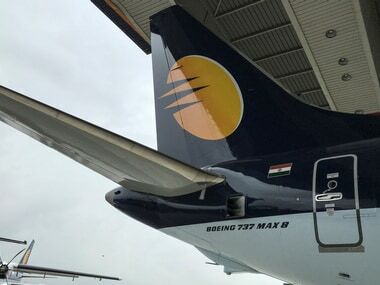 The airline had said earlier it will reduce ex-fuel costs by 12-15 percent over the next 8-10 quarters and on Monday, after announcing its results, it said that over Rs 2,000 crore would be shaved-off from costs. All these targets need to be met, earlier the better. Remember, aircraft fuel expenses were up by almost 50 percent year-on-year and total expenditure up by almost 25 percent in the June quarter, so the pruning has to be all around and ruthless. Does this mean employees, specially pilots, will have to take pay cuts proposed earlier? Probably yes. Last but not the least, Jet needs to stick to the promise of "capital infusion and debt reduction to result in significant reduction in the interest cost". How it raises this fresh capital and how much is raised are two key factors which could well determine its survival. 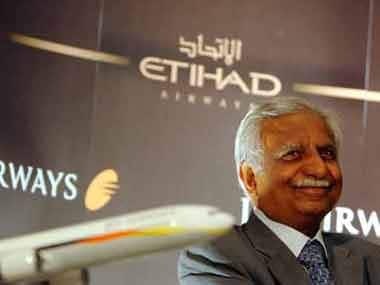 As this report and others have suggested earlier, Jet's founder Naresh Goyal may finally be coming around to the view that diluting his own stake is probably one of the biggest favours he could do to the airline he started from scratch. 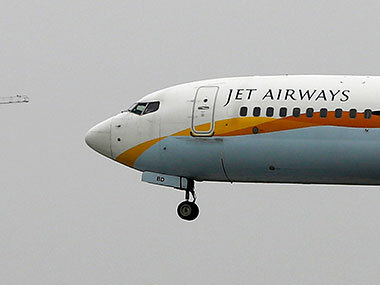 This is one of the ways to generate the much needed funding, though Jet has been denying any move to sell stake in the past. But after the Q1 results were approved by the board, Goyal did speak of a fund infusion into the airline. There is also talk of Jet looking to monetise its frequent flyer programme. 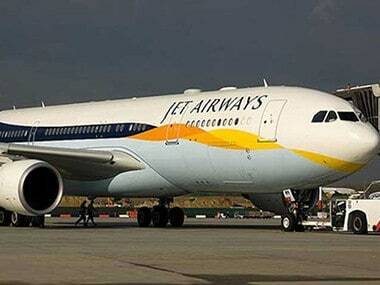 Whatever route is taken, urgent funds are needed for Jet to keep flying. This piece quotes a mail CEO Vinay Dube wrote to employees last night, assuring them of another silver jubilee for the airline, which is celebrating 25 years of operations this year. This could well happen, if all the promised cost cuts, funds infusion and debt reduction targets are met.